The Monetary Sin of the West. New York: The MacMillan Company, 1972. First edition of the economist’s magnum opus. Octavo, original cloth. 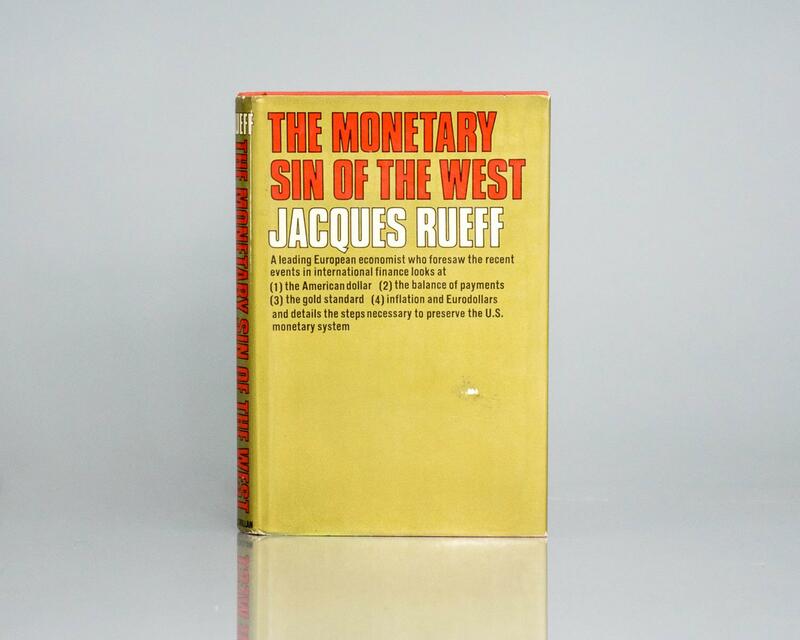 Signed and dated by Jacques Rueff on the half-title page. Fine in a near fine dust jacket with light shelfwear. Jacket design by Jim McWilliams. Jacques Rueff was an influential free market thinker who studied economics and mathematics at the École Polytechnique. An important economic advisor to French President Charles de Gaulle, Rueff was also a major figure in the management of the French economy during the Great Depression.